As unique as the Dolce & Gabbana image: a blend of true irony and casualness that each man can identify with. A stimulating, dynamic, attractive, aggresive freshness that expresses it's duality through citrus notes that simultaneously recall the sweetness of the Valley of the Oranges and it's wild and in some ways remote side. The reassuring freshness of lavender that evokes the south of France, so familiar yet so distant. The simplicity of sage and terragon mixed with intense, powerful cardamom and impertinent pepper. The ruggedly masculine yet exotic, free fragrance of precious woods, a strong, introverted touch of tobacco, the pleasurable fresh scent of musky notes and the surprising notes of cumarin and tonka bean. 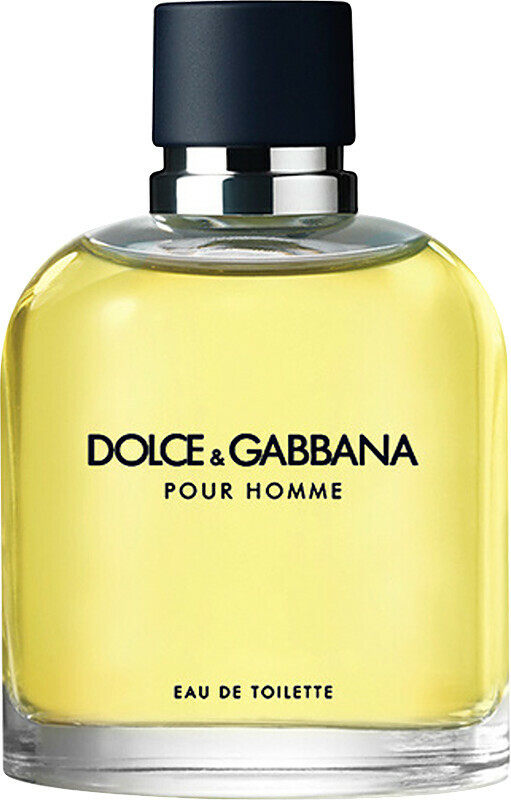 Dolce & Gabbana Pour Homme Eau de Toilette Spray is rated 4.8 out of 5 by 5. Rated 5 out of 5 by Cscaz from Classic Scent Bought for my partner as it's a scent he's worn often and always keeps a bottle in his collection. 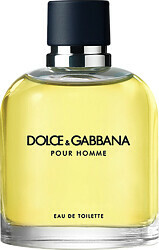 Very classic, clean smell, ideal for daytime. Great price. Rated 4 out of 5 by ironman from Well Respected! A nice fresh lavender,citrus and tobacco scent. A nice fragrance for all seasons with good longevity. A solid product that is hard to dislike.